The Community Pregnancy Center of Pasadena offers confidential and free pregnancy tests, one-on-one peer counseling, helpful classes and much more. Several Trinity members volunteer at the CPC. As they say on their website: With extended weekday hours and a friendly, helpful staff, you can rely on us for FREE and confidential pregnancy tests, one-on-one peer counseling, helpful classes, and much more. Caring client advocates: Our dedicated client advocates know what you’re going through. Get FREE and confidential pregnancy tests, one-on-one peer counseling, and more. Get helpful information: You’ll get medically accurate information from us including facts on fetal development. You’ll also get information on all of your options! Classes, referrals, and more: From helpful classes and resources to referrals for programs like Medicaid, WIC, and housing assistance, our team can help you through everything. The Community Pregnancy Center makes extensive use of volunteers. 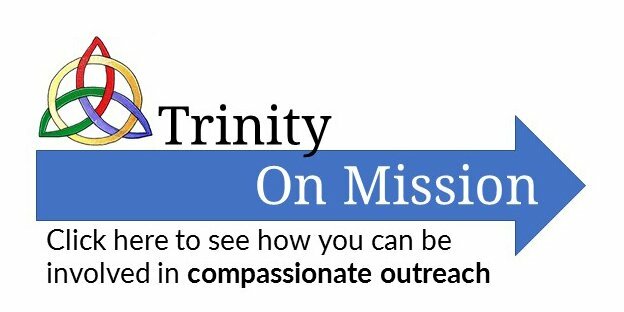 Several people from Trinity already donate time each week. To join them, use the contact information below.